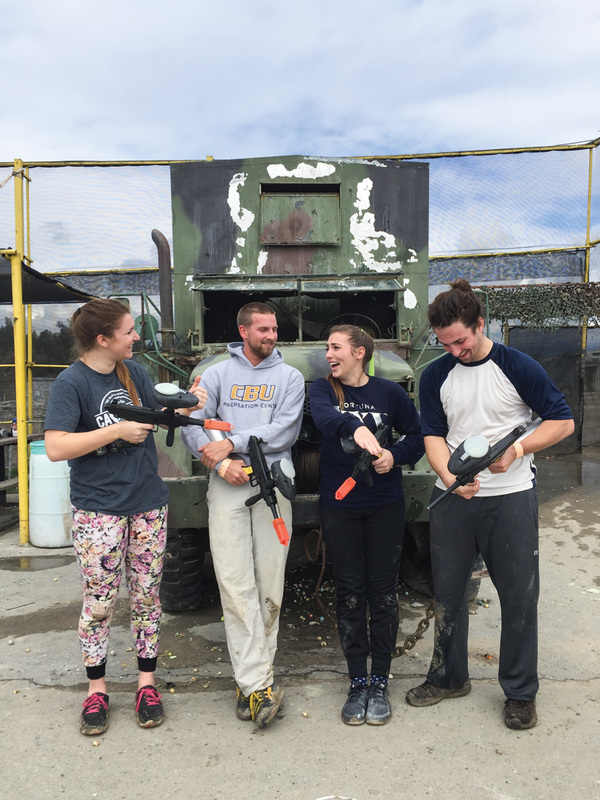 The California Baptist University Community Life Office put together a trip Feb. 18 for students to go paintballing at SC Village Paintball and Airsoft Park in Corona. The 100-acre paintball and airsoft park with 25 fields hosts weekend events for pros and beginners. There were around 40 students who attended this event for the day. Tucker Carl, program coordinator for Outdoor Adventures in the Community Life Office, said they decided to host the trip to give students the opportunity to participate in the sport. Oscar Castro, senior kinesiology major, said one of the main reasons he went on the trip was the affordable price. Castro explained that he was glad to finally get to participate in an outdoor adventure trip because as a commuter, it has been hard to make it to the registration times for the previous events Comm Life hosts. Ariana Hartoonian, senior biology major, also attended the trip with three of her friends. For Hartoonian, the paintball trip was a good way to get off campus and participate in something different than what she would normally do. Following the success of the paintball trip, Comm Life plans to host another in the future so more students will be able to attend this event.